Point Clear, AL. People have been coming to a hotel at this spot for rest and rejuvenation since the 1830s. 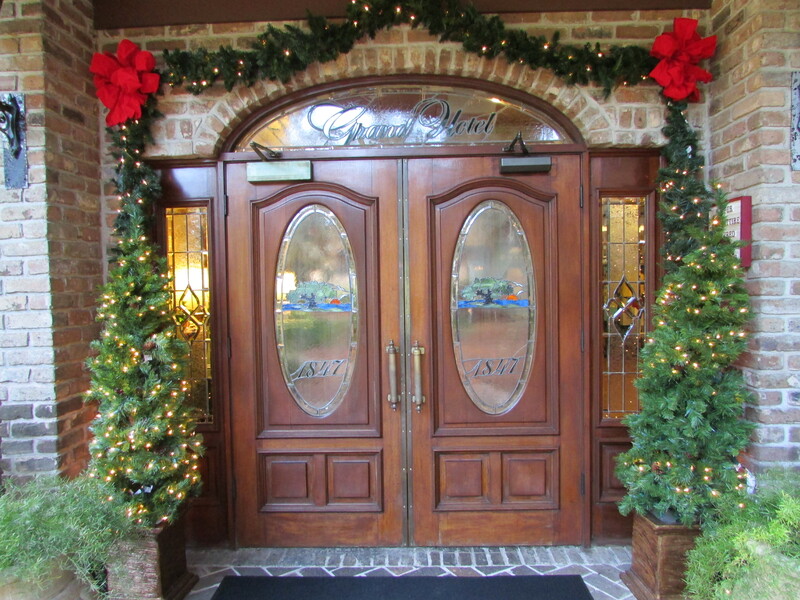 For me, a visit to The Grand Hotel in Point Clear, Alabama, (www.Mariott.com/Point-Clear) has become an annual December event. I occasionally get down here at warmer times of the year but the pre-Christmas visit is my constant. 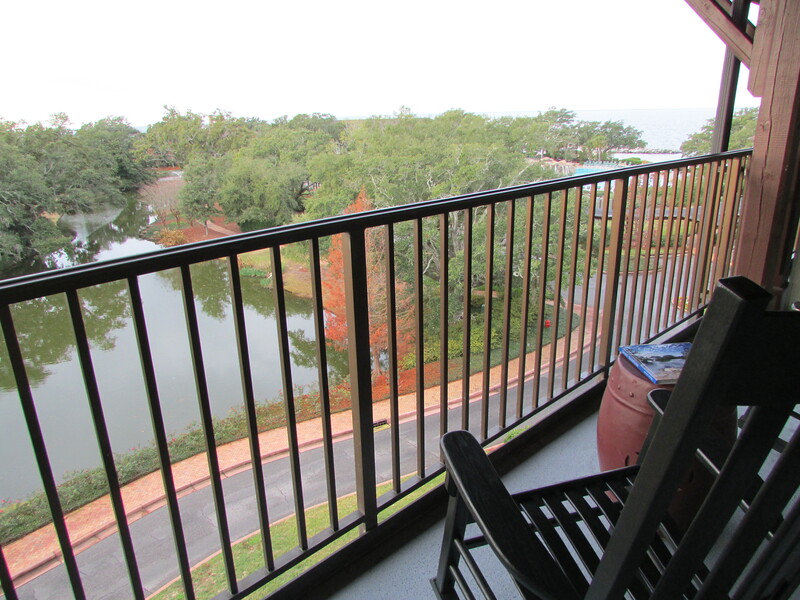 The Grand Hotel is located on the Eastern Shore of Mobile Bay, a short distance south of the town of Fairhope, at a point where the bay broadens as it gets closer to the Gulf of Mexico. 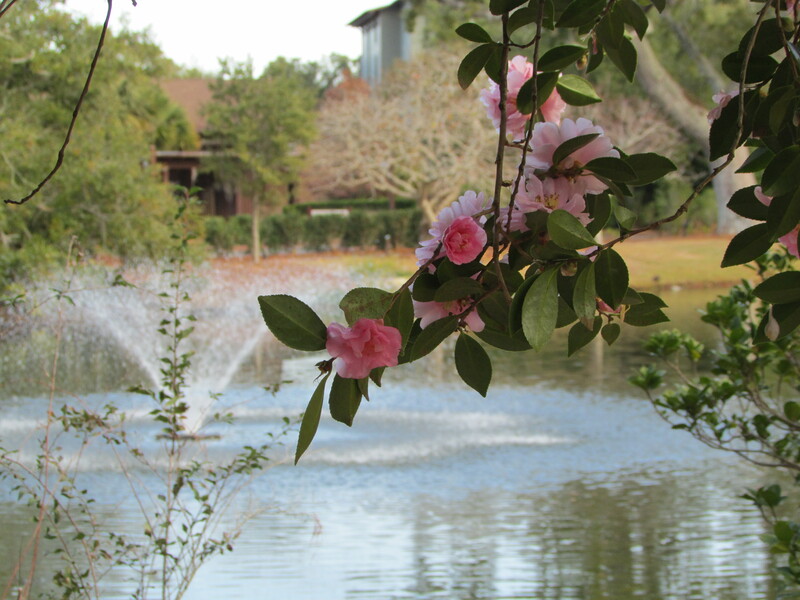 The various buildings overlook the Bay and out toward the Gulf on one side and a peaceful lagoon surrounded by ancient, Spanish moss-dripping live oaks and walking paths on the other. 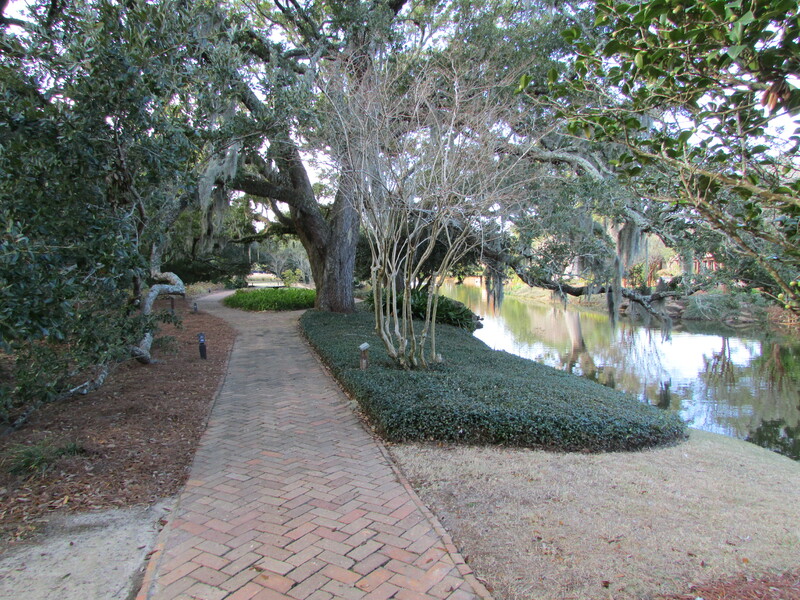 The grounds are expansive and beautifully landscaped with paths along the bay. Pathways open to the public radiate beyond the resort and one is welcome to stroll past the private sides of bay-front Point Clear homes and get a sense of local living. In the warm months the place bustles. A huge swimming pool is full of sun-worshippers and all kinds of outdoor activities – biking, kayaking, croquet, beach bonfires, etc. – are available throughout the grounds. Now, in December, it is more quiet and less crowded and I have found that this trip is a perfect and much-needed way to shake off my job after a demanding semester and to brace for the holidays with family and friends. As might be expected from such a place, there is a feel of tradition. Hurricane Katrina did massive damage to the Alabama coast in 2005 and the hotel was closed for over a year while renovations occurred. When I returned in December 2006 after the renovation, I was relieved to see that the restoration had taken pains to restore the look and feel of the place prior to the storm. The site has history and tradition and it manages to retain the feel without overwhelming one with the past. Every afternoon there is a small military procession through the grounds ending at a Civil War-era cannon. After the hotel’s military history is recounted – it served as a military hospital during the Civil War, was fired upon during the Battle of Mobile Bay, and the grounds include a Confederate cemetery containing the remains of many casualties of the Battle of Vicksburg (which happened 250 miles away) – the cannon is fired and can be heard throughout the area. 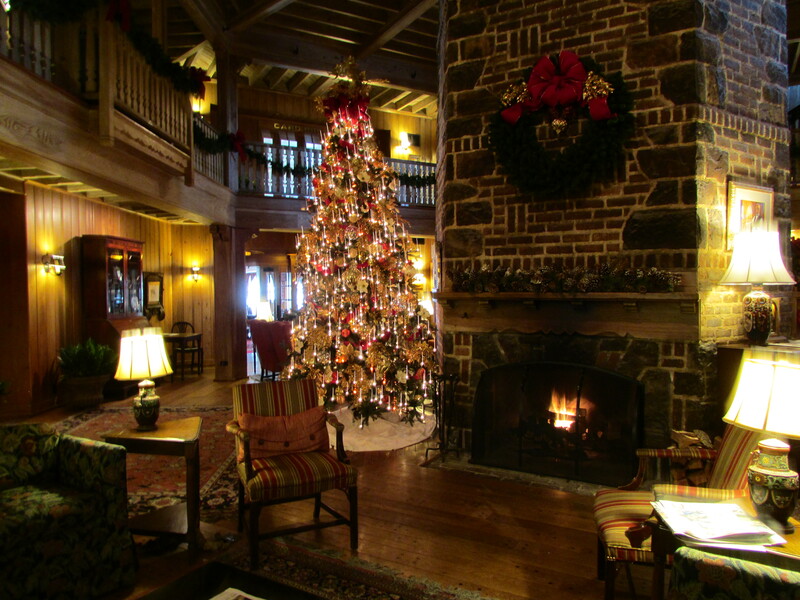 While the cannon fires outside, an afternoon tea is held around the grand fireplace every afternoon at 4:00. There is a blazing fire and a huge Christmas tree this time of year. Outside Bucky’s Birdcage Lounge, also located in the main building, is a sunset bell that is rung thirty minutes before sunset each day. It is a reminder to move toward the lounge and toward the Bay-front to observe and celebrate what is almost always a spectacular sunset. 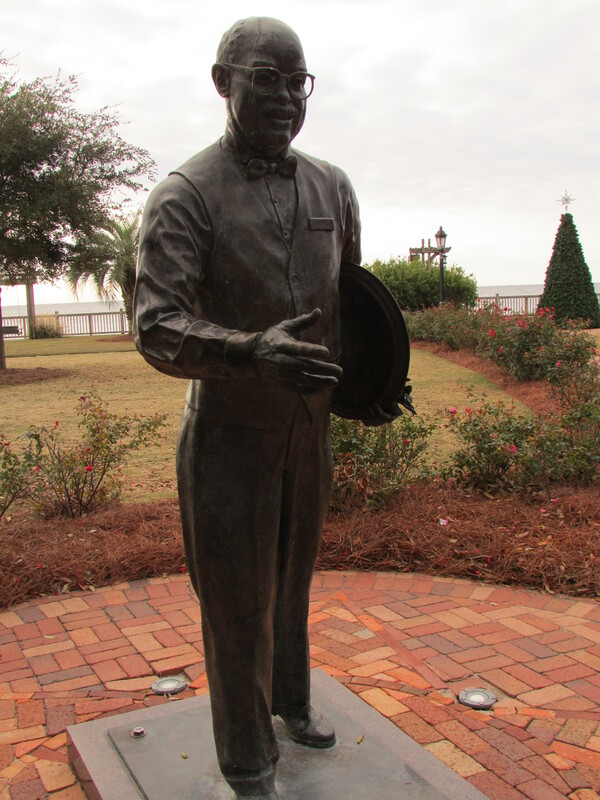 “Bucky” Miller was a beloved employee of the Grand for 61 years and a life-sized statue of Bucky stands outside his namesake lounge, his hand extended in greeting. 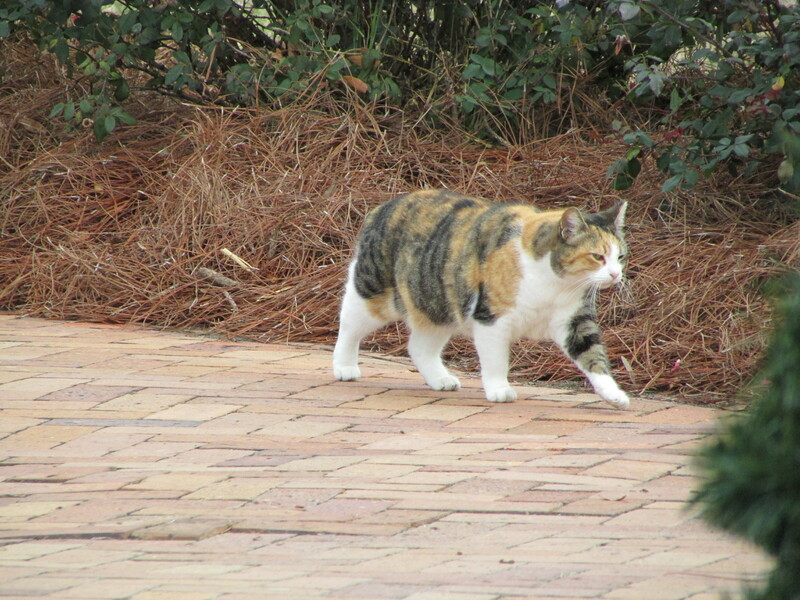 Bucky’s cats still roam the grounds – or by now maybe Bucky’s cats’ descendants. I was greeted by one of Bucky’s cats as I went into the main building for check-in yesterday. I have heard about the Grand my whole life but I didn’t start coming down for regular visits until over a decade ago in the early 2000s. Several years ago an acquaintance who used to come to the Grand for decades remarked, when I told him I was about to come down, “I hear the Grand isn’t so ‘grand’ anymore.” (Isn’t there always that guy?) Things change and the events of the past may not be happening with the velocity they once had, but my Grand experience is always peaceful and invigorating and exactly as grand as I want it to be. The fact that I always splurge and treat myself to a massage at the hotel’s highly-rated spa makes my experience that much more grand. In the earlier years of the Grand’s history, it was owned by individuals and families. 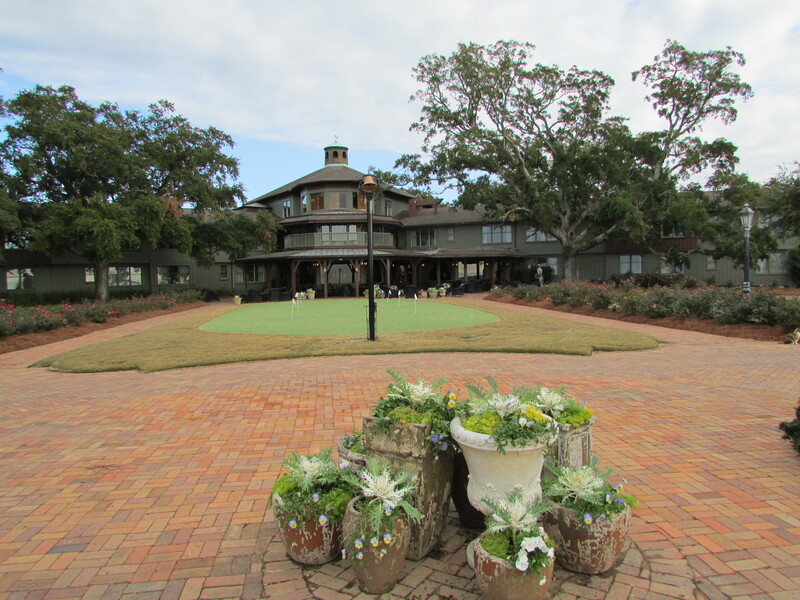 It is now a Marriott resort owned by Retirement Systems of Alabama, part of Alabama’s much lauded Robert Trent Jones Golf Trail (the property includes Lakewood Country Club). The staff is international and far-flung in origin but there are many locals who work here too and there are faces and names that are familiar to me trip after trip. It may all be an act, but I will say that the employees at the Grand always seem happy and they make every guest feel special and welcome. It’s a wonderful place for families and couples but I am usually here as a single and feel totally at home and comfortable as such. I was already in my 40s when my recurring “Grand experience” began. I know people who started coming here with their families when they were very young. There are always happy children and young people at play when I make my visits. However, I have always felt that I started coming at just the right time for me – at a time when I was looking for stability and peace of mind in my life. I worry that if I had started my annual treks even a decade earlier I might have found the place a little staid and slow. I have a long list of places I still want to visit in this world, but, for me, if I want to relax and regroup, coming back to a place I know and a place where I feel like I can just sit on the balcony and while the day away with a good book is the ticket to a perfect vacation (New Orleans is another of those places for me). After staying in buildings all over the resort, I now have and always request my favorite room in the Spa building. So, the Grand it is and the Grand it will be for this December and, I hope, many Decembers to come. 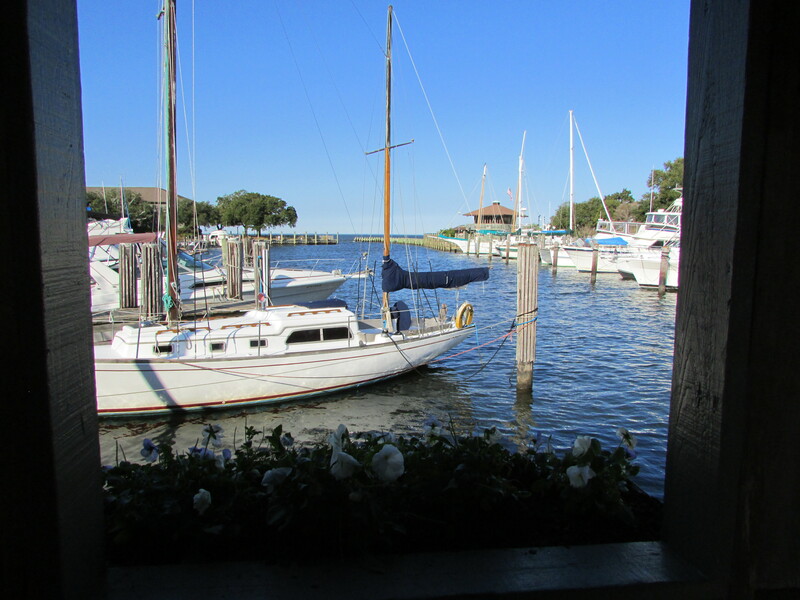 This entry was posted in Alabama, travel and tagged Alabama, Point Clear, The Grand Hotel, the south, travel on December 16, 2014 by gedwardjourney.